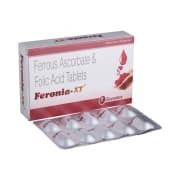 Feronia-XT Tablet contains ingredients that are essential to numerous bodily functions ranging from nucleotide biosynthesis to the remethylation of homocysteine. It is especially important during periods of rapid cell division and growth. Both children and adults require folic acid to produce healthy red blood cells and prevent anemia. Use as directed by the physician. Feronia-XT can be taken orally with water, after meals. 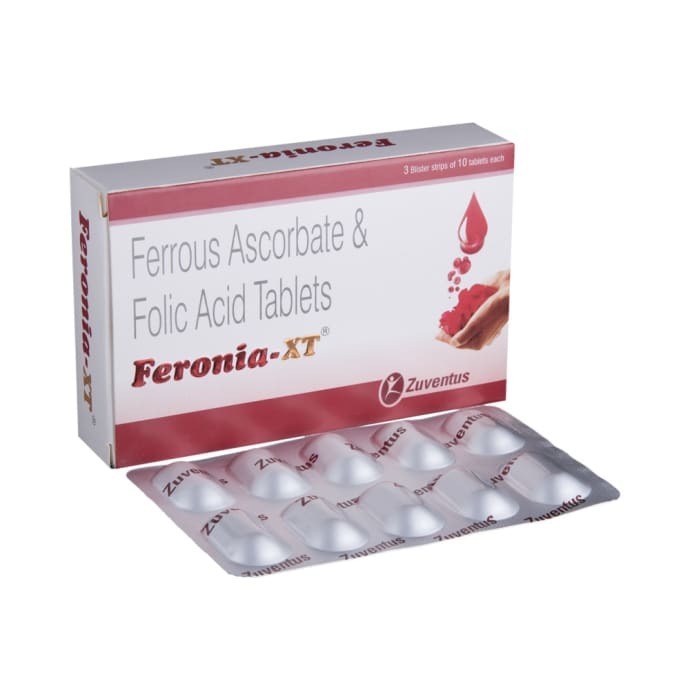 A licensed pharmacy from your nearest location will deliver Feronia -XT Tablet. Once the pharmacy accepts your order, the details of the pharmacy will be shared with you. Acceptance of your order is based on the validity of your prescription and the availability of this medicine.